Run 100 miles in April to receive a $25 Smartwool.com gift card. 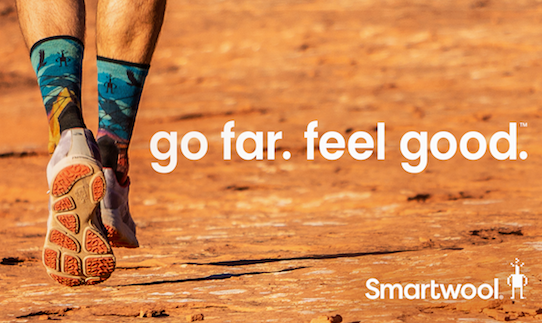 Smartwool and pro ultra runner Rob Krar are teaming up to help you go far and feel good this spring. 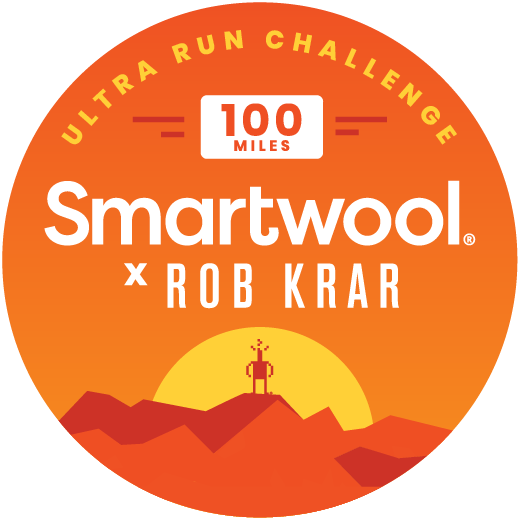 To celebrate their new Smartwool X Rob Krar PhD® Pro Endurance sock, Smartwool is creating a 100-mile run challenge to put you (and your socks) to the test. Rob is known for his ability to absolutely crush 100-mile ultra races, but he also uses running as a way to support his mental health and as an opportunity to share time outside with friends and family. The last thing Rob wants to think about on a long run are his socks, so he partnered with Smartwool to design the PhD® Pro Endurance: Smartwool's most technical running sock yet, with run-specific features to help keep feet comfortable from mile 1 to mile 100. And now he's inviting you to join him as he tracks his runs during the month of April. When you complete this 100-mile challenge, you'll earn a $25 gift card to Smartwool.com (valid for US residents only on a $50+ purchase*) to help you stock up on comfortable, breathable Merino wool socks and apparel designed to keep you going for your next 100 miles and more. Check out https://www.smartwool.com/shop/running-gear to learn more about the PhD® Pro Endurance sock and see Smartwool's full selection of Merino wool running gear. Sign up for the challenge, join the Smartwool Club on Strava, and get out there. Tag @smartwool and #gofarfeelgood in your running photos on Instagram for a chance to be featured! *While the $25 gift card is valid for US residents only, Smartwool and Rob welcome global participation in the challenge. See Rules for full details. - $25 Smartwool.com gift card (valid for US residents only). Upon completion, you will receive an email from Strava. The email will include a link to Smartwool.com to redeem your $25 gift card unique code (to be used on a $50+ purchase). Have fun shopping, and then enter your unique code in the promo field at checkout. - Digital finisher's badge for their Strava trophy case. Complete this challenge to earn a $25 Smartwool.com gift card (valid for US residents only on a $50+ purchase) and a Smartwool X Rob Krar badge. Manual entries, virtual runs, treadmill runs will not count towards the challenge goal. Activities must be marked "Everyone." The description of this challenge is provided by Smartwool. To learn more about how to use Strava, please visit the Strava Support Center or email support@strava.zendesk.com. All other inquiries should be directed to Smartwool. Prize eligibility and fulfillment is at the sole discretion of Smartwool. Prize eligibility and fulfillment is at the sole discretion of Smartwool. $25 Smartwool.com gift card offer valid only for US residents (to be used on a $50+ purchase). Athletes will receive an email from Strava after the conclusion of the challenge through which they can opt-in to receive their reward. Please see full terms and conditions.